Help Carter the crocodile find his way home in this interactive picture book. Carter, the crocodile hero of Open Very Carefully, is back and he’s NOT happy. All he wants to do is find his way home, but he can’t get there by himself – he needs YOUR help! 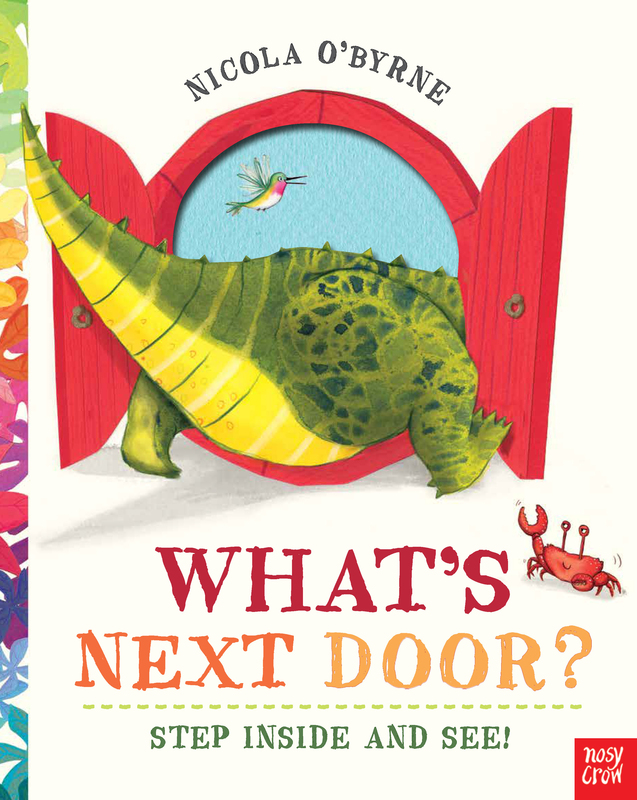 In this unique interactive book, with brilliantly designed die-cut pages, children are encouraged to take part in the story, to create a door in the page and use their imagination to guide Carter into new environments. But will he ever escape and find his way home? When Nicola was 5 years old her parents banned Saturday morning television, and she has been drawing ever since. Nicola grew up in Singapore and had not even heard of illustration as a career before she discovered the Illustration course at Edinburgh College of Art. Nicola has now completed a Masters in Printmaking, as well as pursuing a career in children’s book illustration. She gets most of her ideas for children's books when she should be working on something else, and bases all of her characters on people she knows.